Gulf News is an award-winning weekly newspaper which has been published by journalists on Waiheke every week for more than 40 years. 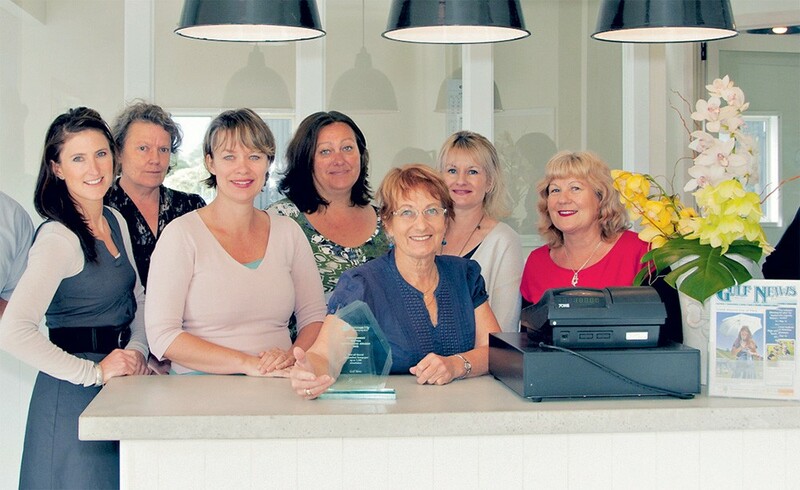 Gulf News is 100% locally owned and operated and a member of the New Zealand Community Newspapers Association. Our office is located in Pendragon House, 118 Ocean View Road, at the rear of Pendragon Mall in central Oneroa. We are open from 8.30am to 5pm Monday to Friday. For urgent after-hours news, please contact 0212 815 723. Congratulations to the winners of our Draw the front cover competition, Alejandro 9-13yr and Autumn 5-8yrs. Come into the Gulf News to collect your prize. Well done! 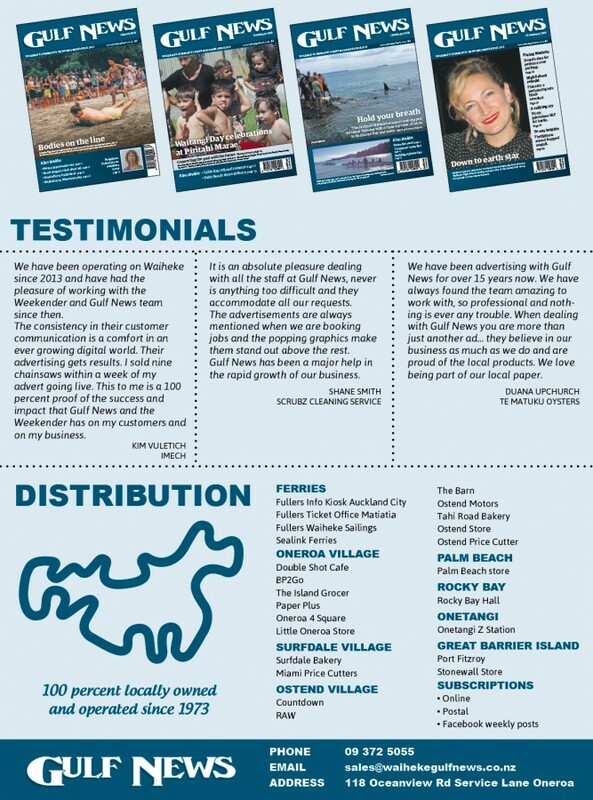 An award-winning weekly newspaper, Gulf News has been published on Waiheke every week for more than 40 years and is proudly 100% locally owned and operated.